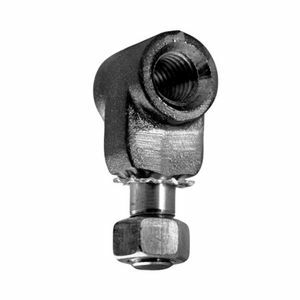 Converts pressure-type terminals to accept 5/8-11 UNCthreaded ferrules. For use on C-Type, Duckbill, and Flat-Face grounding clamps. Converts pressure-type terminals to accept 5/8-11 UNCthreaded ferrules. For use on All-Angle grounding clamps.